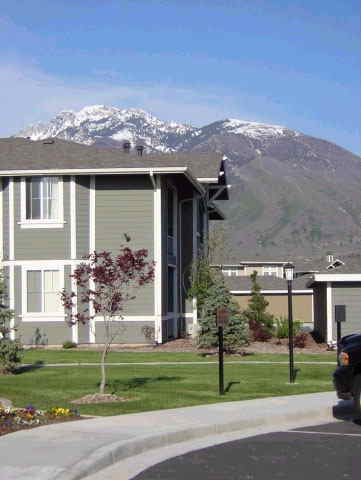 Allegro at Corner Canyon is located in Draper, Utah, approximately 30 miles South of Salt Lake City. Allegro, with 258 two-story, walk up residential apartment units situated on this 21.5 acre site which yields a pleasing 12 units per acre. The pedestrian scale of the project is further enhanced by generous landscaping and curving walkways, which adds to the environment and open feel of the neighborhood. Allegro opened in early 2003 and was developed by SNK Development Inc. in Emeryville, California.